The biggest difference between the material is the price: the price of NBR material is far lower than EVA material. That’s the reason why gym pad adopt this kind of material. The other more important reason is that gym pad is normally thick and the material used is relatively more. Why it has such big difference in thickness between yoga mat and gym mat? 1. the main function of gym mat is protection and buffering. If it is too thin, it will not have the function of buffering, which will cause hurt or uncomfortable. 2. main function of yoga mat: anti-slip, protection, stability. If the yoga mat is too thick, beginners or even seniors can not stand stabely. Therefore, yoga mat can not be too thick and gym mat can not be too thin. Yoga mat has strict standard size: 610*1730 (international standard), 610*1830 (extra long length), 800*1830 (broaden type), 1200*1830 (double) while gym mat has all kind of sizes. In one hand, yoga mat is limited by strict body type, function and body figures while gym mat has not strict limit, normally decided by factories themselves. However, many factories make the same size as yoga mat to confuse public opinion and sell gym mat as yoga mat. Yoga mat: anti-slip, protection, the final goal is to make yoga more accurate, make the movement more stable to achieve the initial purpose. 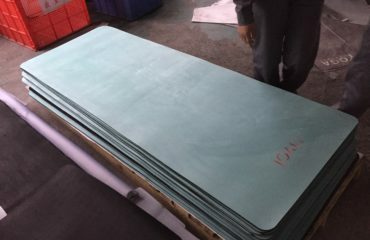 Gym mat: cushioning, portection and the final goal is to reduce the motion buffer force to protect joint.